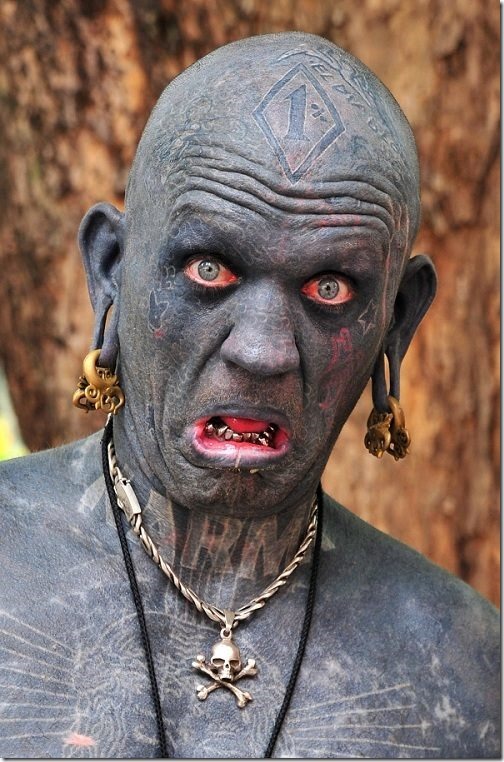 Guinness world record for the most tattooed person goes to Lucky Diamond Rich. Born as Gregory Paul Mclaren in New Zealand in 1971, Rich had always dreamed of being the most tattooed person. Rich won the record in 2006 for having tattoo on 100 percent of his body. He has tattoos in his entire body including inside of his eyelids, mouth, ears and foreskin. Before 2006, the title was held by Tom Leppard. Tom Leppard has tattooed his entire body in a leopart-like colored pattern.